Peter Hawkins is Professor of Leadership at Henley Business School, Chairman of Renewal Associates, and founder and emeritus Chairman of Bath Consultancy Group, Chairman of Metaco South Africa and Honorary President of the Academy of Executive Coaching and APECS. He is a leading consultant, writer and researcher in leadership and leadership development and an international thought leader in executive teams, systemic team coaching and coaching supervision. He has just led a major global research project on Tomorrow’s Leadership and the Necessary Revolution in Today’s Leadership Development for Henley Business School and finished writing the second edition of Leadership Team Coaching in Practice to be published in July 2018 by Kogan Page. 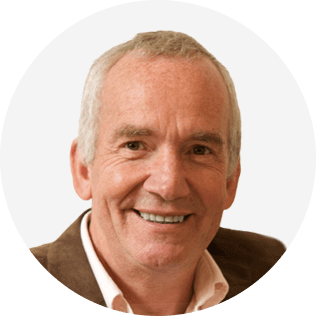 Over the last 35 years he has worked with many leading companies all over the world, co-designing and facilitating major change and organisational transformation projects and coaching company boards and leadership teams. He has helped several senior executive teams develop their vision, values and strategy for the future, both in commercial companies, public sector, higher education and large professional service organisations. He is visiting professor in Leadership and Change at the University of Bath, School of Management and in Executive Coaching at Oxford Brookes University School of Management. He is on the board of a number of small companies and charitable trusts. He is married with three grown up children and five grandchildren, as well as having a range of animals and gardens to look after on his 37 acres on the edge of Bath. A young black manager in south Africa described executive coaching as “ Very expensive personal development for the highly privileged.” This talk will show how Systemic Coaching is focused on the coach and coachee working together to deliver value not only to themselves but all the stakeholders that the coachee’s work serves. It will explore how to engage, contract and coach to maximise the benefit for the coachee, the people they lead, their team, their colleagues, the wider organisation and the organisation’s stakeholders. 1. How coaching can deliver value for the individual coachee’s stakeholders.